Convert Email to PDF automatically. 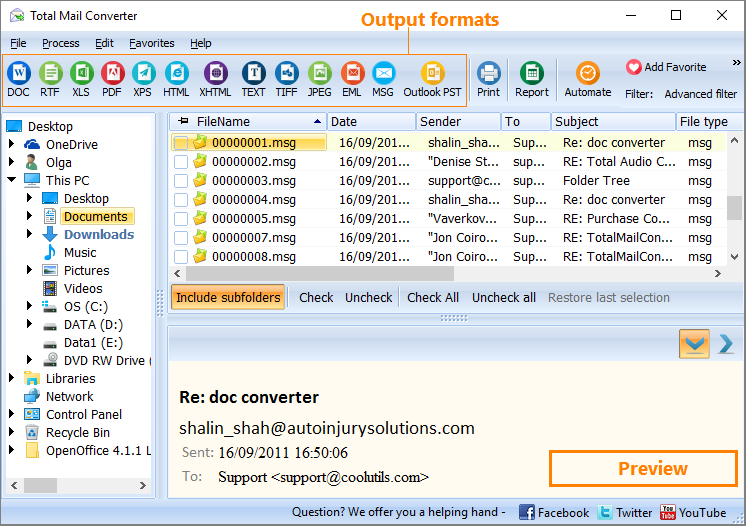 You are here: CoolUtils > Total Mail Converter > Convert Email to PDF automatically. Even though emails are a great way of storing information, in some cases they should be converted to other formats, like PDF. Why would you want to do that? There are several reasons. For example, PDF files are a better choice for archiving old data. These files are also easier to share because they can be opened on almost every computer. PDF documents are also very safe because they cannot be edited. Visit the official website of CoolUtils and download Total Mail Converter You can either buy the program or download the trial version, which can be used for free for 30 days. Double-click on TotalMailConverter.exe and install the converter That is simple. All you need to do is follow the instructions of the installation wizard. Launch Total Mail Converter Simply double-click on the program’s icon located on your desktop. Then, choose the files you wish to convert from the list on your left, set the target format (PDF) and click “Start!”. That’s it. 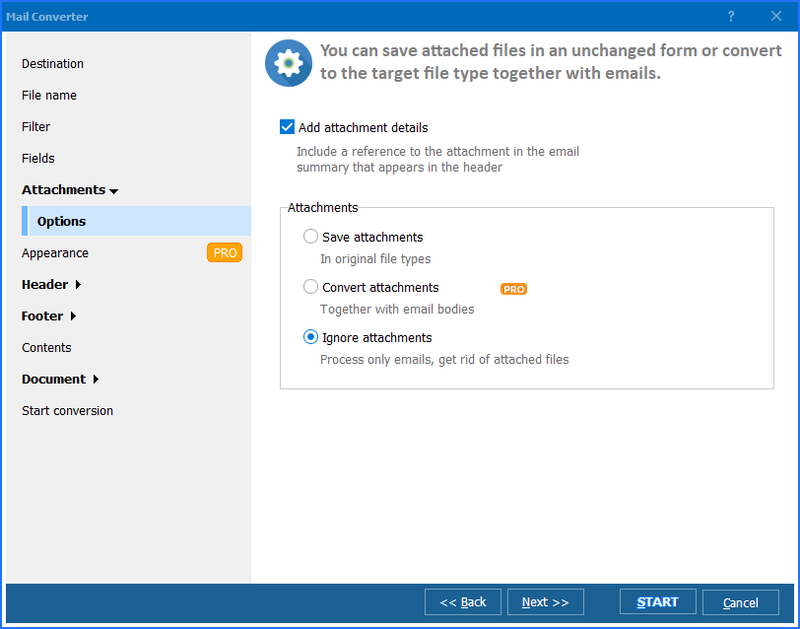 You can choose to convert emails one by one or in batch, if you want to save your time and nerves. 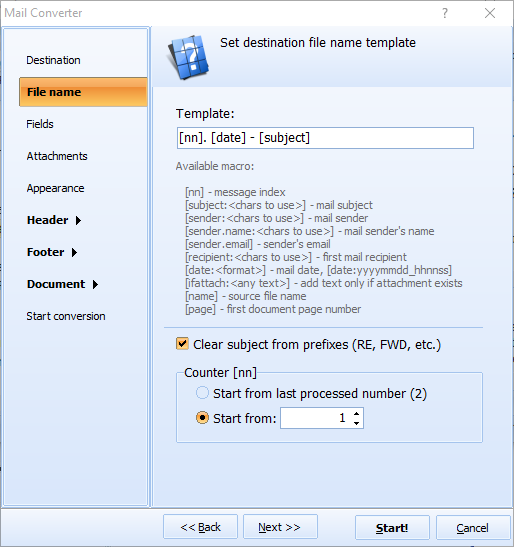 Ready to try Total Mail Converter now? Get your free trial version of the email converter!